Logins this hour: 16812 ? Submit day-off and work requests at Amion. A personal password is required to access your work-preference calendar at Amion. Sign into your group's schedule at Amion.com. If your schedule is part of an Enterprise display, click on the department name to go to the full monthly schedule. On the main toolbar, click the My Requests.. icon. Click Email a login link to yourself. Check your email. It will provide your temporary password and a link directly to your requests calendar. Click on the link. At the bottom of your requests calendar, change your temporary password to a new permanent one. Click Set password when done. Login to your group's schedule at Amion and click on the My Requests.. icon. Enter your personal password and login. 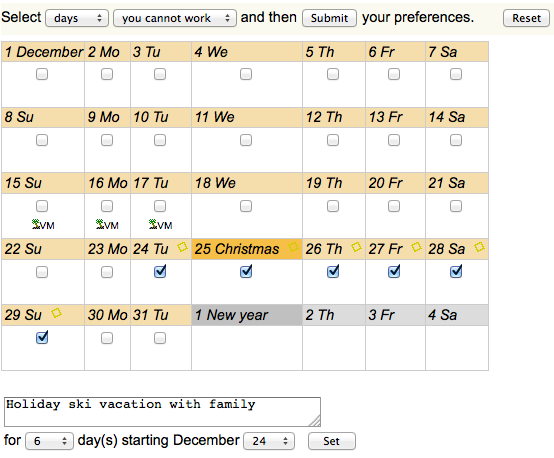 From the first dropdown menu, select either "days" or "shifts" that you would like to request. In the second dropdown menu, select whether the request is "you cannot work" or "can work". Check the boxes in the calendar for the days/shifts you are requesting to work or not work. If applicable, add notes to the calendar to explain your requests. Below the calendar, select the number of days the note covers and its start date. Enter the note and click Set. Red sticky notes appear in the calendar for the assigned days. To remove a note, submit a blank note for all the days you wish to clear. When your dates and notes are set, click the Submit button above the calendar. A confirmation summarizes your submitted requests. Use the blue arrows to move forward to another month to submit more requests. You can go back into the request calendars at any time to review and update your availability. 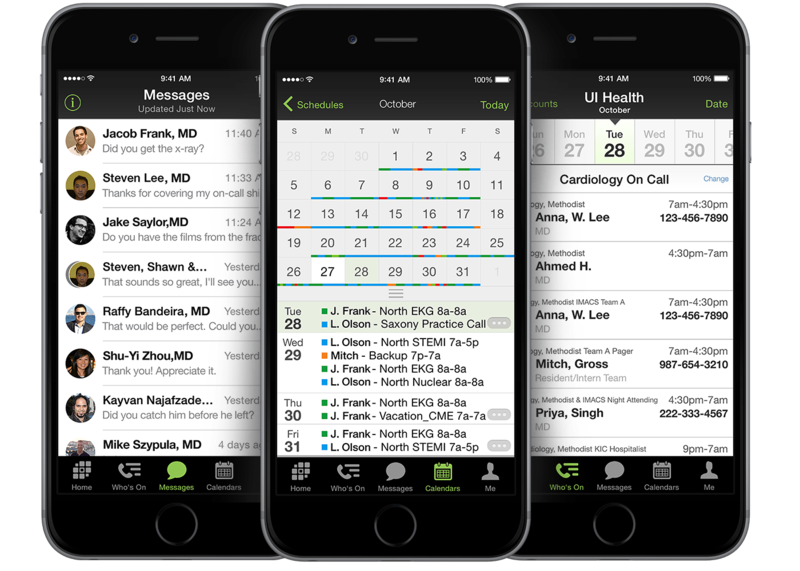 Requests remain queued up at Amion until the schedule admin imports them into the OnCall scheduler.